Basically, Bluetooth trackers are devices that help you keep tabs on whatever objects they are attached to. Aside from using a smartphone app to determine the object’s location, you could also remotely trigger it so that the tracker emits a sound and alerts you to its position. Safedome Classic offers these features and others such as the super slimness of the tracker. Despite the simple and sleek packaging. When it comes to selection of a Bluetooth tracker, there are certain things we look out for. These features remain the essential ones that are necessary for a great tracker to have. Size: the best trackers are the light and nearly invisible ones. You wouldn’t want to carry something that would constitute a nuisance around with you. Volume: the essence of having a tracker is to have it point you in the right direction of your missing items. One with a very low volume is no good. Range: the longer the tracker’s range, the lesser the distance you would have to cover in finding your item. In testing the Safefdome Classic, we carried out two tests. First, we tested how loud the alarm on the tracker would sound; this is an important criterion for finding objects that were lost within hearing distance. Also, we tested Safedome Classic’s potential range. This refers to the distance at which the tracker’s signal disappeared when the Bluetooth connection was lost. This was done by moving away from the tracker and measuring the distance using a measuring wheel. After doing this a couple of times, we determined the average distance for signal loss. After the entire testing process, the Safedome Classic passed our team’s testing criteria. The Safedome Classic carries a fixed battery which can last for up to 2 years based on a users usage. The sleek and classy shape is that of a credit card so that it fits neatly into your wallet and other essential bags or items you do not want to lose. There is also the feature to purchase in multi-packs which has been available since late 2018. The Safedome Classic is a super slim tracker with dimension of about 0.76mm which makes it all the more easier to carry around in wallets and bags just like credit cards. With a Bluetooth 4 improved range, the Safedome Classic can track up to 50m outdoors and 10-25m indoors depending on the structure of the building, surrounding of people and other electronic devices. It also possesses the feature of alerting the user to missing items and is entirely water-resistant up to 1meter. In the event that water spills on the card, it can easily be wiped down with a dry cloth and the button pressed to check if it is still working. The LED should come on. The card also allows for you to ring your phone using it. The Safedome Classic Bluetooth tracker also allows you track items such as suitcases, travelling bags and many other items. Usually, the Safedome Classic does not alert you when you have left your items behind. This is referred to as geofencing features. Also, the slimness could be a disadvantage to some people due to the fact that it can go missing easily. The Bluetooth range of this tracker is also relatively short compared to other trackers thanks to the fact that it makes use of Bluetooth 4. However, with the new upgrade to an improved range of Bluetooth 5, the distance is bound to have increased. Aside from wallets and bags, one other item that goes missing a lot; even more often than wallets and bags are Keys. The Safedome Bluetooth Key Finder lets you track your keys and other items very easily. You can easily attach the Bluetooth key finder to your car keys, house keys, bags and even your pets. With the free Iphone or android app that comes with the tracker, you can monitor the location of your keys and other items effortlessly. With its premium soft leather casing, you can bring the Safedome Premium out wherever you are due to its sleekness and stylishness. 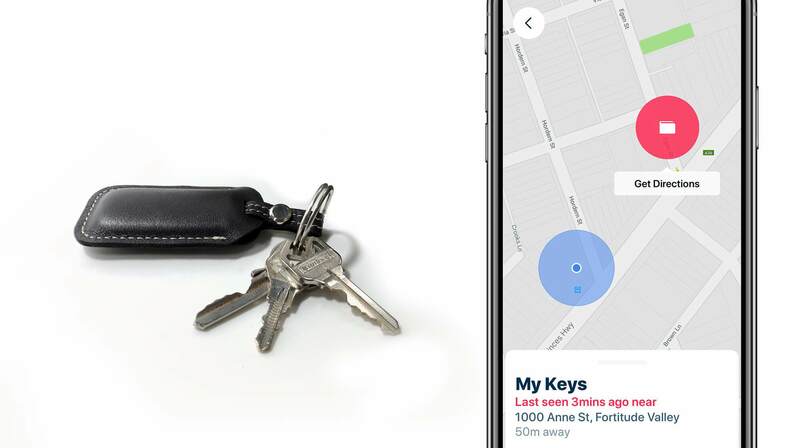 Ringing your missing keys with your phone is also possible as long as the tracker is attached to the keys. Some of its other features include a replaceable battery, water resistant casing and the ability to track up to 5 items at the same time. Orbit has a number of trackers of various styles including the Orbit Glasses which can be used to track your sunglasses or eyeglasses. However, the network is way limited compared to the Safedome Classic. Despite the promised effectiveness of the tracker, a pair of my sunglasses once went missing and even though I put it up as “lost” on the app, I never got any notification of its recovery by another orbit user. Safedome is looking to work on a replacement scheme for the Safedome Classic batteries which would make it last a lot longer instead of having to purchase another. 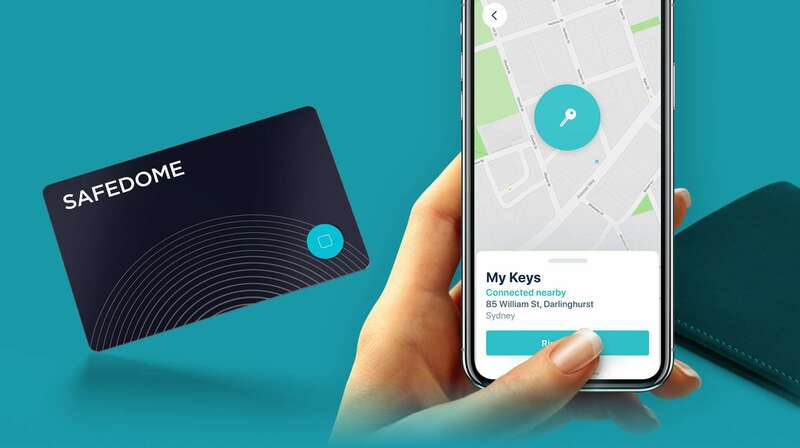 The app can now be used to track up to five items at once and Safedome is looking to increase that tally very soon. At the end of the entire testing process, only Safedome Classic effortlessly met all the required standards we had previously set. Unlike the Orbit, Safedome Classic possesses a much wider range which enables users find missing items with less effort. Also, Safedome Classic users receive regular notifications regarding battery capacity unlike the Orbit. 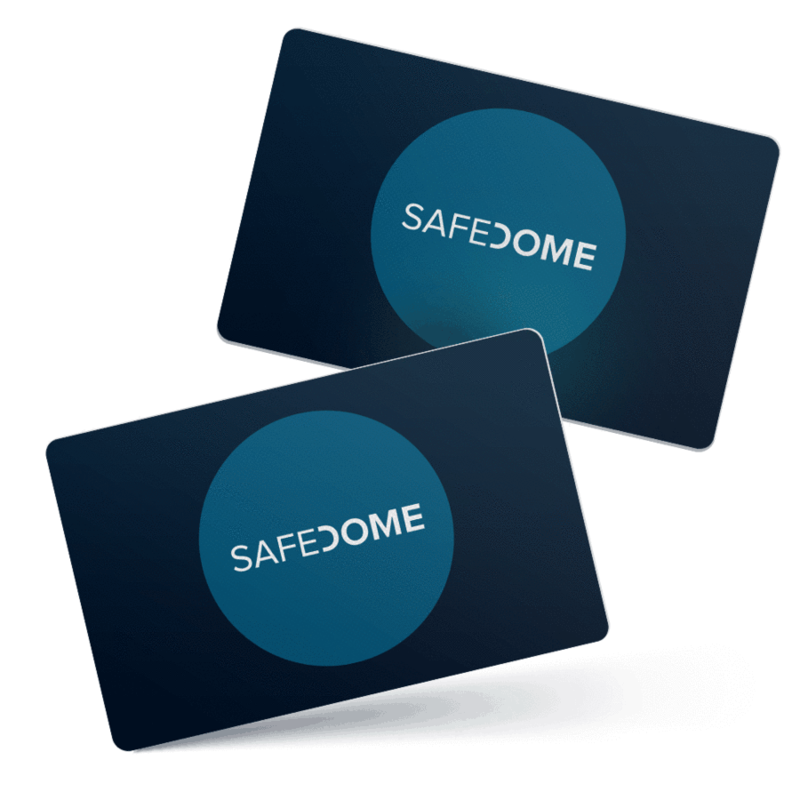 Personally, the Safedome Classic is a winner due to the very portable size and the tracking range. I could be quite careless around water so the water-proof feature does it for me too.